A short article detailing ADV’s Gantz anime release plans for 13 DVDs with 2 episodes each (they later shortened it to 10 disks). 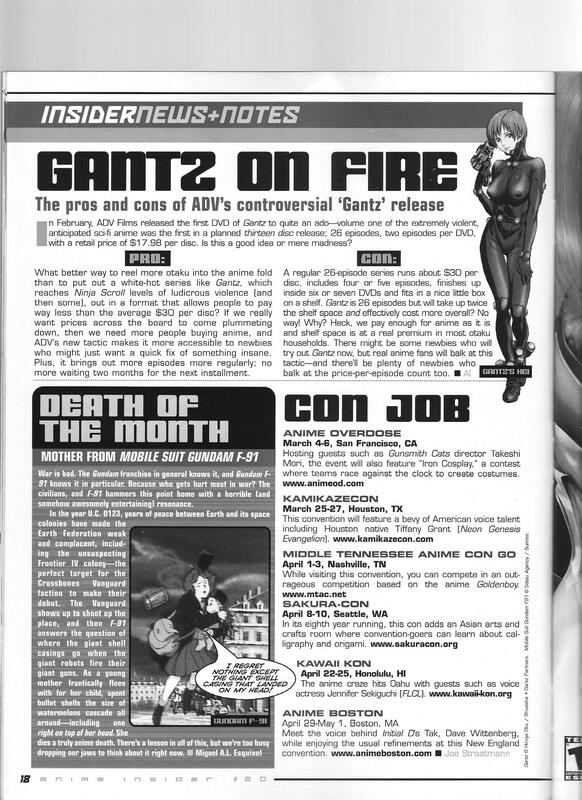 This entry was posted in Old Magazine Articles and tagged ADV, Anime, Borderline Plagarism for the Freedom of Information, Gantz by torisunanohokori. Bookmark the permalink. I wasn’t a fan of the two episodes per disc strategy. I am glad it didn’t take off. I ended up getting the whole series in two box sets. Having to constantly change the DVD can be a pain.